Small - €47.99 Only 4 left! Medium - €47.99 Only 3 left! Large - €47.99 Only 5 left! Everyone has heard the tale of Little Red Riding Hood. A little girl takes the long way to Grandma's house only to find an evil wolf hanging out. He tries to eat her. The huntsman jumps in at the last minute to save her. 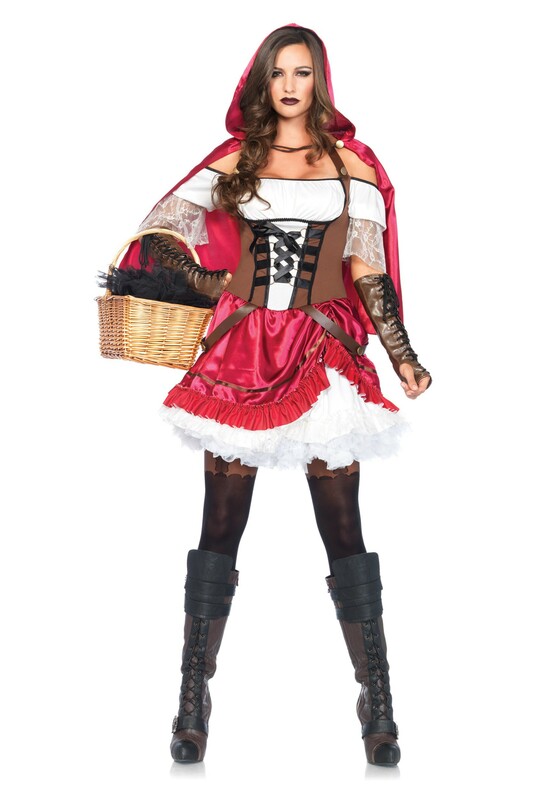 We like our version, where the main character is wearing this Women's Rebel Red Riding Hood Costume and she doesn't just wait around for some huntsman to save her. The Big Bad Wolf is even afraid of her! If that's the kind of fairy tale character you want to be, then this outfit is perfect for you.